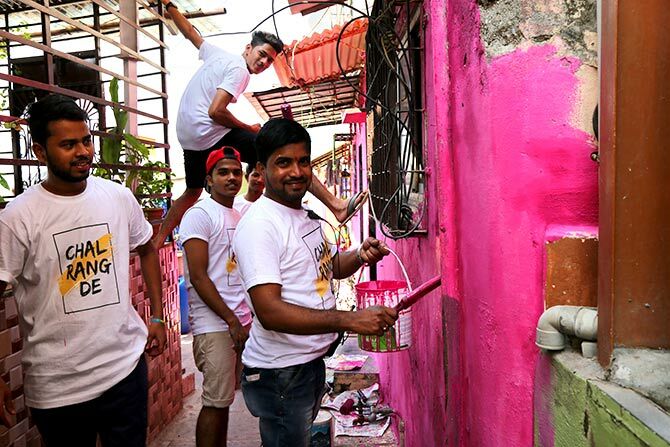 Mumbai’s Asalpha slum gets a colourful makeover and its already been compared to Positano Italy! 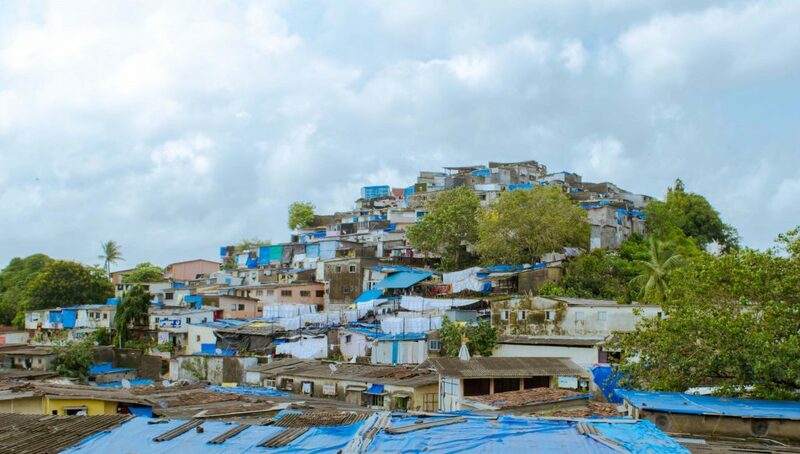 Mumbai’s Asalpha slum gets a colourful makeover: The transformed look of Asalpha slum in Mumbai’s Ghatkopar suburb has become the topic of discussion for many. It is also being called the ‘Positano’ of Mumbai- all thanks to a group of young volunteers who were able to spread some cheer with their paint and brushes. For those who doesnt know what Positano is, Positano is a cliffside village on southern Italy’s Amalfi Coast. It’s a well-known holiday destination with a pebble beachfront and steep, narrow streets lined with boutiques and cafes. 2. How did this Happen? A group of 750 volunteers came together to paint walls and create artworks,graphics,cartoons at the Asalpha hillock. The idea was to change perceptions around slums and their residents. An initiative called ‘Chal Rang De’ was begun by Dedeepya Reddy, who went on to create a team dedicated to give Asalpha a makeover. Shanties in Asalpha, near Ghatkopar, have been transformed into a colourful amalgam by volunteers who finished painting 175 walls in just two weekends. This small effort to make Asalpha clean and beautiful ended up catching metro viewers attention and is highly appreciated. also its been compared to the beautiful Positano of Italy! This is the difference between what it was and what it looks line now!